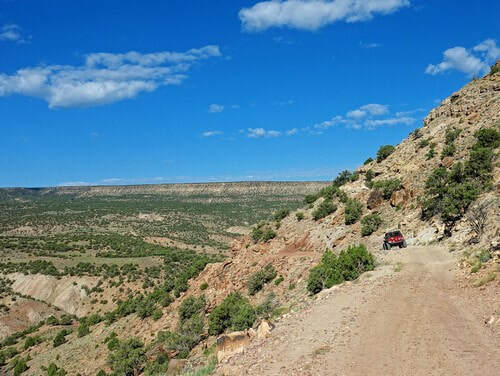 Tabeguache 3.5 is a short, challenging Jeep trail a short distance west of Montrose. 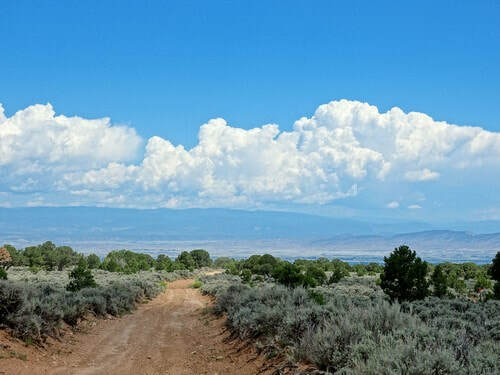 It starts near the Dry Creek Rock Crawling Trails, crosses Dry Creek, Piney Creek and Cushman Creek before climbing up to the South Divide - Transfer Roads GP. 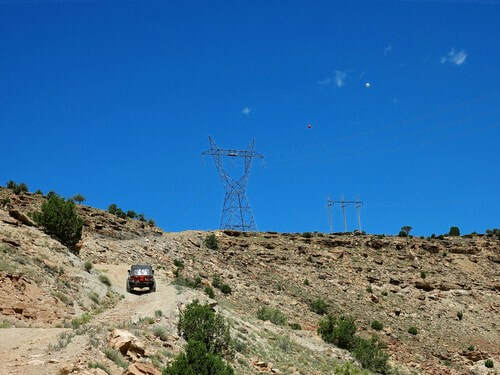 There is a single obstacle that gives the trail a weak 3.5 rating. Most of the trail is 2.0 with a couple more difficult spots. 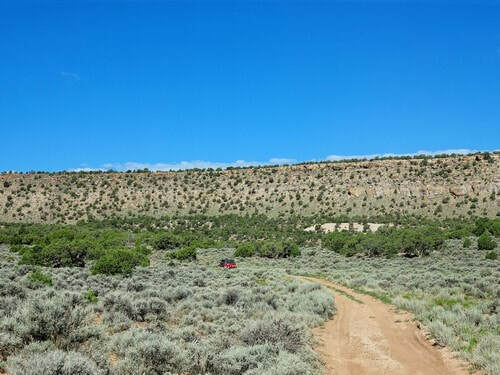 Leave the road that accesses the Dry Creek Rock Crawling Trails and drive along a scenic shelf road above Dry Creek Basin, then drop down into Dry Creek Basin. 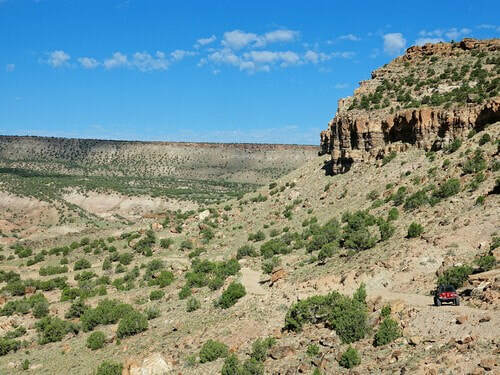 Cross Dry Creek Basin then climb to slightly higher ground covered with juniper - pinyon on your way to Piney Creek. 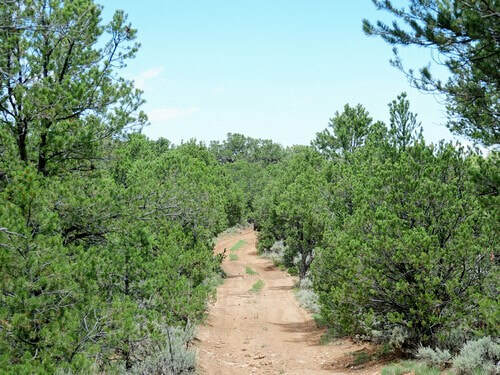 Follow Piney Creek for a ways then climb a steep hill with the single 3.5 rated obstacle. The rating is due to a slippery area that is much more comfortable driven with lockers front and rear. One lesser obstacle and you are done with anything of difficulty. 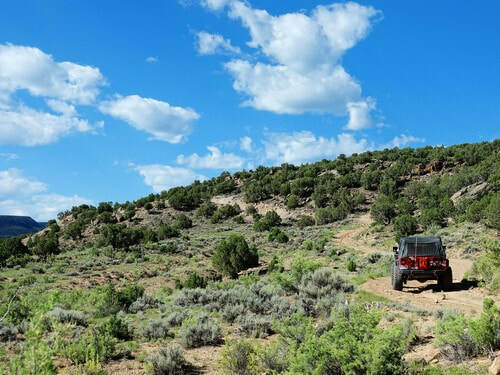 Leave the obstacles behind and wind through a heavy stand of pinion - juniper until you reach the Cushman Mesa Road. 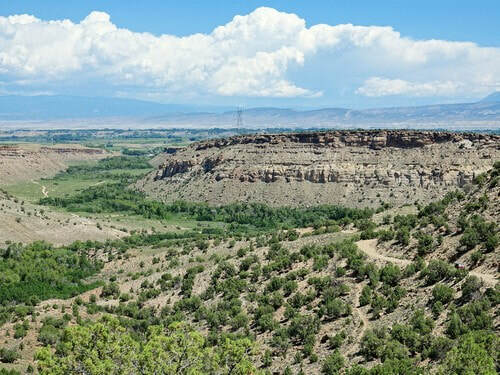 Head downhill and enjoy the views of the Uncompaghre River Valley. 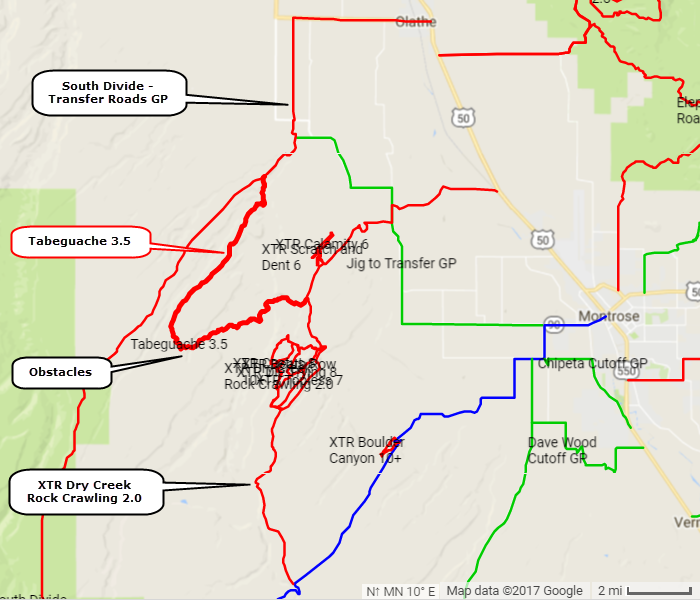 The final leg of the trail drops down into Cushman Creek then climbs up to the ​South Divide - Transfer Roads GP.